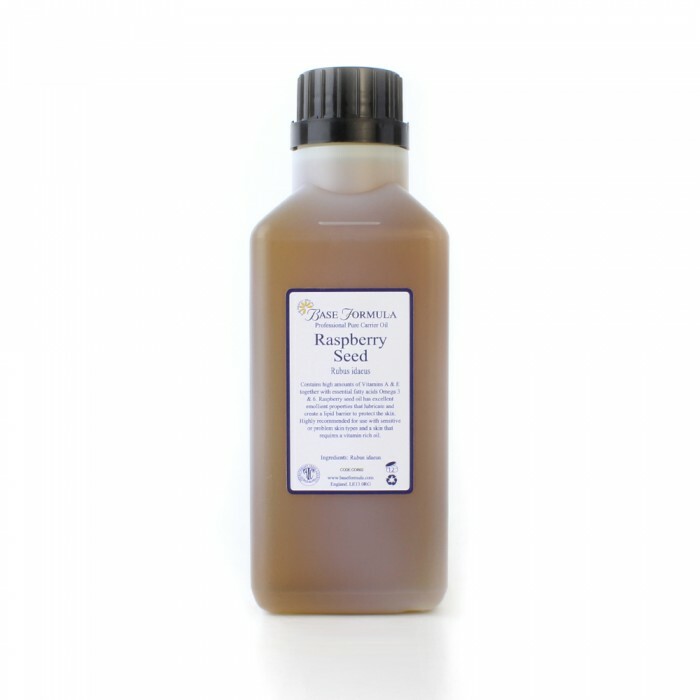 Raspberry Seed Oil is a very dry, thin oil that is deeply nourishing and conditioning for the skin. 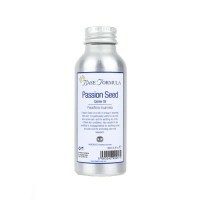 It also has superb anti-oxidant and anti-inflammatory properties. Our cold-pressed Raspberry Seed Oil is a valuable ingredient for skincare products. It contains exceptionally high levels of Omega 3 and Omega 6 essential fatty acids (approx 83%) as well as Vitamin A and Vitamin E. Essential fatty acids are the building blocks of healthy cell membranes. 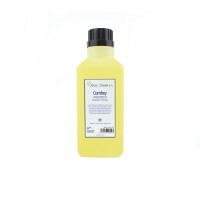 They help to produce the skin's natural oil barrier, to keep the skin hydrated, firmer, and younger looking. Vitamin A helps to heal damaged skin, promote cellular growth and reduce the signs of ageing. Vitamin E is also an important anti-ageing nutrient that helps to repair and condition the skin. It is a superb anti-oxidant that can reduce the damaging effects of free radicals, which are one of the major causes of premature ageing. Raspberry Seed Oil is a very dry, thin oil that is deeply nourishing and conditioning for the skin, particularly sensitive skin. It can be useful for rashes, eczema and other skin lesions and its anti-inflammatory properties are thought to be superior to oils such as Avocado, Grapeseed, Hazelnut and Wheatgerm. Raspberry Seed Oil has a long shelf life due to its high phospholipid content and may increase the stability of other carrier oils when blended.